What could be better than a graffiti mural? Multiple graffiti murals on one building. 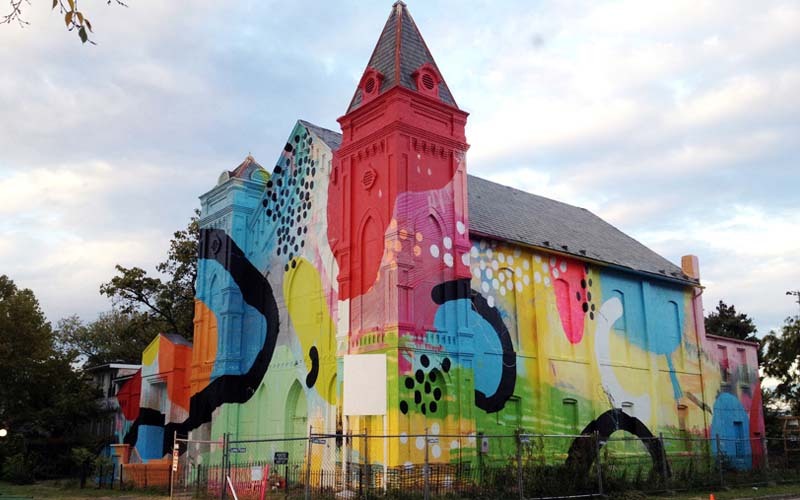 In this case, a Church in Washington D.C. Atlanta-based artist Hense was commissioned to paint the former church in D.C.’s up-and-coming arts district. 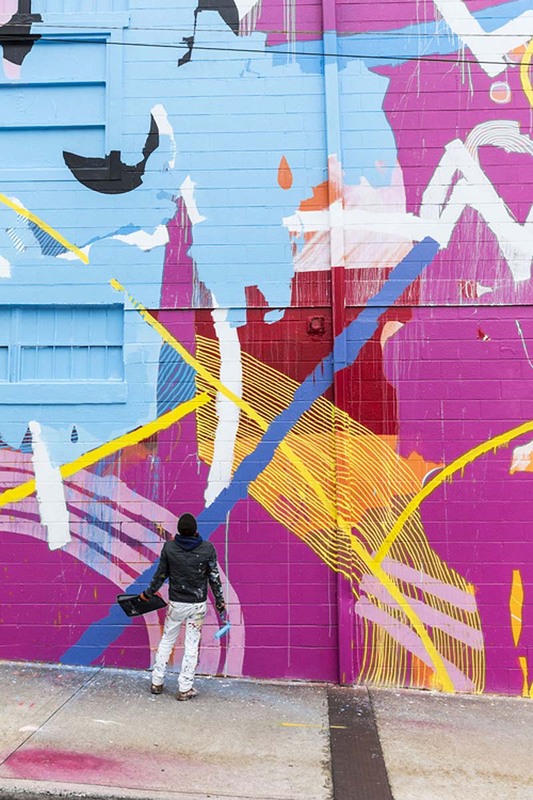 Along with a small crew, some rollers, brushes, spray paint, acrylics and more, Hense and his team covered every inch of the structure with de Kooning-esque colors and Pollock-esque splatters and scribbles. Talk about an extreme makeover! The vibrantly colored transformation sits across from the future home of a 20,000 sq. ft. museum, how appropriate for this sculptural work. Hense’s installation is the perfect combination of contemporary abstract art and classic architecture that defines the artsy neighborhood. You can see Hense’s latest painted building in Atlanta, the WCAC, over here. This entry was posted in Architecture, Art, Fun, Pop Culture, Street Art, Stuff We Like. Bookmark the permalink.